Simmonds onstage with his Zion guitar at the Windsor Blues Festival. Kim Simmonds: Arnie Goodman. 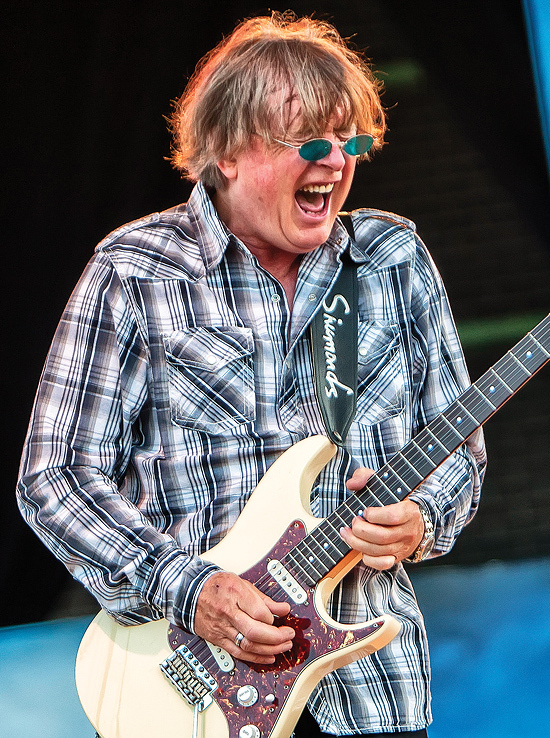 Under the aegis of founder Kim Simmonds, Savoy Brown has always been a band “subject to change.” Formed in 1965, some of its incarnations went on musical tangents, but the blues has been its keystone genre. 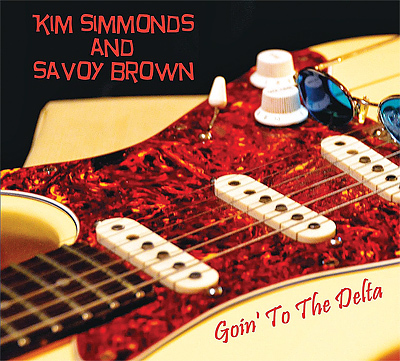 The band’s most recent album, Goin’ to the Delta, is a return to basic electric blues, with Simmonds reassuming lead vocals in a guitar/bass/drums format. Pat DeSalvo plays bass, while Garnet Grimm plays drums. He has been through numerous guitars over the decades, and another facet of the full-circle approach on Goin’ to the Delta is the Zion guitar shown on the cover; he has used the instrument for more than 20 years. For slide, he relied on a DBZ guitar. DeSalvo, meanwhile, holds down the low-end with a G&L Climax Bass. The approach to recording the album was also basic, and any rhythm guitar parts were utilitarian, though the instrumental “Cobra” has a rhythm part that’s more up-front in the mix. 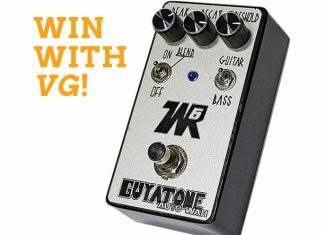 The mix on “When You’ve Got A Good Thing” is different, as well, and includes a light reverb. In concert, he relies on a Heritage guitar and the DBZ for slide. Simmonds also has the future mapped out for his ongoing musical efforts. Simmonds faces the future with a positive attitude.